Technology continues to transform nearly every aspect of the financial services industry — from mobile payments to peer-to-peer lending to financial management. The business potential of machine learning, advanced analytics and natural language processors. For those with us here in Arizona, you’ll find nearly every presentation explores what makes for a strong, digitally-solid bank. So to see what’s trending, I invite you to follow the conference conversations via our social channels. For instance, I am @AlDominick on Twitter — and our team shares ideas and information through @BankDirector plus our @Fin_X_Tech platform. Finally, search & follow #FinXTech18 to see what’s being shared with (and by) our attendees. Next week, my team hosts 350+ leaders from across the United States at Bank Director’s annual Bank Audit & Risk Committees Conference at the JW Marriott Chicago. In advance of welcoming people to this popular event, it strikes me that the business of banking remains difficult despite improving economic conditions; indeed, the drive to digitize a bank’s operations continues to pose significant challenges to most. Digital is, in my estimation, a CEO topic that requires a healthy dose of creativity and ambition. As such, I’m sharing the following article on innovation — authored by John Maxwell and featured in Bank Director magazine’s current “Great Ideas” digital issue. It focuses on how USAA taps the creative side of its employees to pre-position itself for the next new products, tools and technologies to benefit its diverse customer base. “USAA was the first major financial institution to allow customers to deposit physical checks by taking a picture of them on their smartphones, rolling out the service in August 2009. It wasn’t until months later that Bank of America Corp., the nation’s second biggest bank by assets, said it would test the same functionality, by which point upward of 40,000 USAA members had already used the software to deposit more than 100,000 checks. And it wasn’t until the following year that JPMorgan Chase & Co., the nation’s biggest bank by assets, followed suit. This was neither the first nor the last time that USAA, a niche player in the financial services industry serving current and former members of the military and their families, had beaten larger rivals to the punch in introducing a big, transformative idea. In 2015, the $78 billion asset company became the first major U.S. financial institution to roll out facial and voice recognition technology that allows members to log in to its mobile app without entering a password. What is it about USAA that explains how it’s regularly at the forefront of big ideas? Is it serendipity, or is there something more at play? And if it’s the latter, are there aspects of USAA’s approach that can be replicated by other banks that want to accelerate their own internal innovation engines? One explanation for USAA’s success is that the company has always had to think creatively about distribution because of its dispersed member base. With members stationed at military installations around the world, some in active combat zones, simply building more branches has never been a viable distribution strategy. It has a single bank branch at its headquarters in San Antonio, and it wasn’t until 2009 that it began opening a small collection of financial centers near domestic military bases—there are 17 of these centers currently. This is why USAA so readily embraced mobile banking, which enables its members to access their accounts irrespective of location. Yet, chalking up USAA’s accomplishments in the sphere of innovation to the idea that “necessity is the mother of all invention” doesn’t do the story justice. 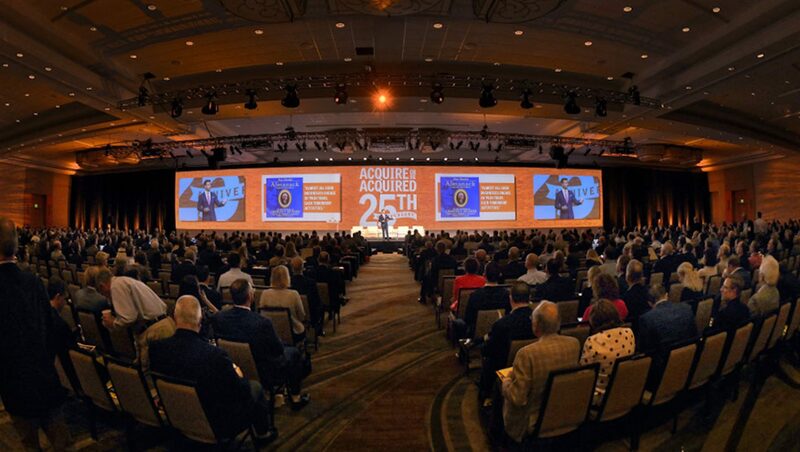 More than any other major company in the financial services space, USAA has made it a priority to harness each of its 30,000 employees in order to stay on the cutting edge. It began doing so in earnest in 2010 by launching a so-called ideas platform on the company’s intranet. Anyone from the CEO to frontline personnel to security guards can post and vote on ideas that have been entered on the platform. Between 10,000 and 11,000 ideas were submitted in each of the last two years. Ideas that get at least 1,000 favorable employee votes are escalated to USAA’s in-house innovation team overseen by Zack Gipson, USAA’s chief innovation officer. Last year, 1,206 employee ideas were implemented, while 189 of them have come to fruition thus far in 2017. USAA also hosts events and challenges for employees that are designed to elicit ideas for new or improved products and services. There are 28 such activities planned this year, taking the form of multi-week coding and design challenges as well as single-day hackathons where teams are tasked with solving a specific problem, says Lea Sims, assistant vice president of employee and member innovation. At an event in 2015, USAA happened upon the idea for voice-guided remote deposit capture, which uses voice commands to guide visually impaired members through the process of depositing checks on a mobile device. The service went live in July of 2016. USAA has taken steps to crowdsource ideas from its 12 million members, or customers, as well. In February it introduced USAA Labs, where members can sign up to share innovative ideas and participate in pilot programs of experimental products. “The goal of our membership channel is, quite frankly, to replicate the success of our employee channel,” says Sims. Thus far, over 770 members have signed onto the program, which is still in its early stages but could become a major part of USAA’s innovation channel in the future. Last but not least, sitting atop USAA’s employee and member-based innovation channels is a team of 150 employees who focus solely on bringing new ideas to life. This is its strategic innovation group, which executes on crowdsourced ideas but spends most of its time brainstorming and implementing large, disruptive concepts such as remote deposit capture and biometric logins. It’s this final component of USAA’s strategy that adheres most closely to the institutional structure articulated by Harvard professor Clayton Christensen, a leading expert on the process of innovation. In his seminal book, The Innovator’s Dilemma, Christensen makes the case that established firms should vest the responsibility to bring ideas to life in organizationally independent groups. This is especially important when it comes to disruptive ideas that threaten to cannibalize other products and services sold by the firm, not unlike the way that remote deposit capture reduces the need for physical branches. *John J. Maxfield is a writer and frequent contributor to Bank Director. To read more of this month’s issue (for free), click here. In full disclosure, I’m a loyal USAA member — as is my entire family — tracing back to my father’s days at the Naval Academy. I can attest to the “awesomeness” of the bank’s various mobile offerings — like facial recognition, remote check deposit, the integration of Coinbase (that lets me see the balance of my bitcoin and ethereum balances alongside my checking and savings accounts), etc. An increasing number of financial institutions are using partnerships with technology companies to improve operations and better meet customer needs. For the past few months, banks and/or fintechs submitted case studies on specific technology solutions helping financial institutions produce real, quantifiable results to our team at FinXTech. With more then 100 submissions in hand, a committee of FinXTech advisors worked with our team to compile a top-10 list during Bank Director’s Acquire or Be Acquired Conference in Arizona last week. With results like these precipitating editorial coverage from our team and attendees alike, you’ll probably understand why I find the just-released ten finalists for our “Best of FinXTech Awards” so compelling. Indeed, as the financial landscape continues to evolve, and executives grapple with a fast-changing operating environment that requires partnerships and collaboration, each of these relationships shows what is really possible when leaders explore something new together. Bank of Nova Scotia (Scotiabank) + Sensibill: Scotiabank’s customers can store, organize and retrieve paper and electronic receipts through the Toronto, Canada bank’s mobile banking app and wallet, the result of a partnership with Sensibill, also based in Toronto. The service was launched in October 2016. Franklin Synergy Bank + Built Technologies, Inc.: Built Technologies, in Nashville, Tennessee, improved the loan administration process for Franklin Synergy Bank, in Franklin, Tennessee. The $3 billion asset bank now manages a greater number of construction loans with fewer staff. Green Dot (Go Bank) + Uber: Pasadena, California-based Green Dot Corp., which issues prepaid credit cards, partnered with Uber to provide the San Francisco transportation company’s drivers a fee-free debit card and an instant pay solution that allows drivers to be paid instantly. IDFC Bank + TATA Consultancy Services (TCS): Due to a regulatory mandate, India’s IDFC Bank had just 18 months to expand into rural areas to better serve unbanked customers. The bank’s partnership with TCS, based in Mumbai, India, included the use of micro ATMs, which are modified point-of-sale terminals that expand the bank’s reach in rural areas. National Bank of Kansas City + Roostify: San Francisco-based Roostify improved National Bank of Kansas City’s formerly inefficient and incomplete digital mortgage application process. Customers at the bank, based in Overland Park, Kansas with more than $600 million in assets, can now fill out a mortgage application in a little as 20 minutes, with no need for a phone call or trip to the branch to visit a loan officer. Somerset Trust Company + BOLTS Technologies: BOLTS, based in Bethlehem, Pennsylvania, improved the account opening process at Somerset Trust Company, saving the $1 billion asset community bank in Somerset, Pennsylvania, roughly $200,000 in the first year by better automating the process and reducing error rates. Customers can start and complete the process on multiple channels. Toronto-Dominion Bank (TD Bank) + Moven: TD Bank, based in Toronto, Canada, launched a real-time money management application in April 2016, developed by Moven in New York. USAA + Nuance: USAA, based in San Antonio, Texas, made its website a little smarter in 2016 with the virtual assistant Nina, which provides support for USAA’s members. This use of artificial intelligence is the result of a collaboration with Nuance in Burlington, Massachusetts. Woodforest National Bank + PrecisionLender: Partnering with Charlotte, North Carolina-based PrecisionLender to improve its loan pricing strategy helped $4.8 billion asset Woodforest National Bank, in The Woodlands, Texas, grow commercial loans by 16 percent and gain almost 20 basis points in net interest margin. WSFS Bank + LendKey: WSFS Financial Corp., headquartered in Wilmington, Delaware, with $6.6 billion in assets, partnered with the lending platform LendKey, in New York, to expand the bank’s consumer loan portfolio with a student loan and refinancing product. All ten of these partnerships demonstrate the strongest combination of collaboration and results. For those interested, my colleague Kelsey Weaver (the President of our FinXTech platform) announces the three “winners” on April 26, 2017, during the FinXTech Annual Summit, at the Nasdaq MarketSite. In advance of that announcement, I invite you to follow me on Twitter via @AlDominick, FinXTech’s President, Kelsey Weaver @KelseyWeaverFXT, @BankDirector and our @Fin_X_Tech platform and/or check out where and how this annual Summit — and these awards — fits into FinTech Week New York that we are hosting along with Empire Startups starting April 24.